As an equine retirement home and livery yard all our staff hold the necessary NVQ qualifications to ensure their work around horses is up to and beyond the standards required. They have a wealth of experience, some helping from a young age meaning they now have over 10 years experience. Members of staff in recent years have decided to move their own horses to Eastlake on livery and are happy to answer any questions you may have about the facilities we offer. The yard is managed by Clare Hooper a British Horse Society level 1, 2 and 3 and riding road safety holder. She has 30 years experience in dealing with a variety of horses and has been the manager of equine facilities at Eastlake for 15 years. In this time she has built a wealth of knowledge especially for those horses suffering with: Cushings, arthritis and laminitis. As a horse retirement stables Clare believes it is paramount that your horses needs are catered to individually in order for them to be in the best condition they can be. 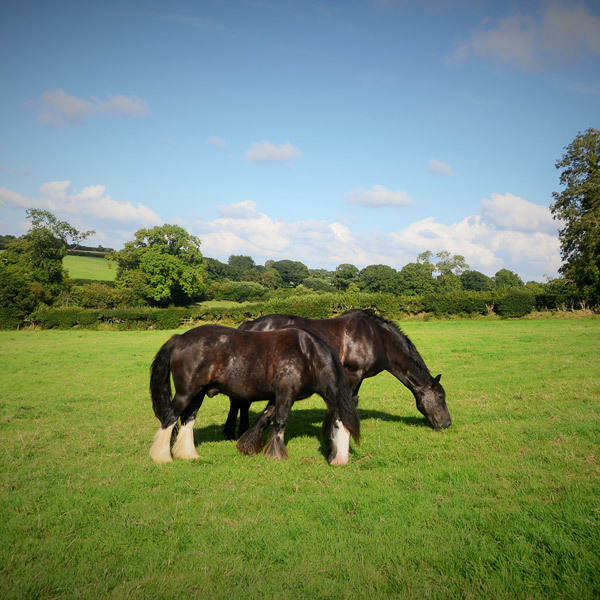 Previously as a riding stables, Eastlake Farm has been locally recognised for keeping happy, healthy and pampered horses and ponies which we believe is of the most importance whilst they're in our care.